March 28, 2019 Los Angeles Angels placed RHP Nick Tropeano on the 10-day injured list retroactive to March 25, 2019. Right shoulder injury. November 2, 2018 Los Angeles Angels activated RHP Nick Tropeano from the 60-day injured list. September 18, 2018 Los Angeles Angels transferred RHP Nick Tropeano from the 10-day disabled list to the 60-day disabled list. Right shoulder inflammation. August 7, 2018 Los Angeles Angels placed RHP Nick Tropeano on the 10-day disabled list. Right shoulder inflammation. July 21, 2018 Los Angeles Angels activated RHP Nick Tropeano from the 10-day disabled list. July 7, 2018 Los Angeles Angels sent RHP Nick Tropeano on a rehab assignment to Inland Empire 66ers. June 15, 2018 Los Angeles Angels placed RHP Nick Tropeano on the 10-day disabled list retroactive to June 12, 2018. Right shoulder inflammation. May 12, 2018 Los Angeles Angels activated RHP Nick Tropeano from the 10-day disabled list. May 2, 2018 Los Angeles Angels placed RHP Nick Tropeano on the 10-day disabled list. Right shoulder inflammation. April 12, 2018 Los Angeles Angels recalled RHP Nick Tropeano from Salt Lake Bees. March 23, 2018 Los Angeles Angels optioned RHP Nick Tropeano to Salt Lake Bees. November 6, 2017 Nick Tropeano roster status changed by Los Angeles Angels. April 1, 2017 Los Angeles Angels placed RHP Nick Tropeano on the 60-day disabled list. Right elbow UCL injury. November 7, 2016 Los Angeles Angels activated RHP Nick Tropeano from the 60-day disabled list. August 12, 2016 Los Angeles Angels transferred RHP Nick Tropeano from the 15-day disabled list to the 60-day disabled list. Right elbow UCL injury. July 19, 2016 Los Angeles Angels placed RHP Nick Tropeano on the 15-day disabled list. Right elbow UCL injury. July 4, 2016 Los Angeles Angels recalled RHP Nick Tropeano from Salt Lake Bees. June 24, 2016 Los Angeles Angels optioned RHP Nick Tropeano to Salt Lake Bees. June 24, 2016 Los Angeles Angels activated RHP Nick Tropeano from the 15-day disabled list. June 23, 2016 Los Angeles Angels sent RHP Nick Tropeano on a rehab assignment to Inland Empire 66ers. June 4, 2016 Nick Tropeano roster status changed by Los Angeles Angels. April 7, 2016 Los Angeles Angels recalled RHP Nick Tropeano from Salt Lake Bees. March 28, 2016 Los Angeles Angels optioned RHP Nick Tropeano to Salt Lake Bees. September 1, 2015 Los Angeles Angels recalled Nick Tropeano from Salt Lake Bees. August 22, 2015 Los Angeles Angels optioned RHP Nick Tropeano to Salt Lake Bees. August 20, 2015 Los Angeles Angels recalled Nick Tropeano from Salt Lake Bees. July 25, 2015 Los Angeles Angels optioned RHP Nick Tropeano to Salt Lake Bees. July 24, 2015 Los Angeles Angels recalled Nick Tropeano from Salt Lake Bees. July 6, 2015 Salt Lake Bees activated RHP Nick Tropeano from the 7-day disabled list. June 26, 2015 Salt Lake Bees sent RHP Nick Tropeano on a rehab assignment to AZL Angels. April 24, 2015 Los Angeles Angels optioned RHP Nick Tropeano to Salt Lake Bees. April 22, 2015 Los Angeles Angels recalled Nick Tropeano from Salt Lake Bees. March 31, 2015 Los Angeles Angels optioned RHP Nick Tropeano to Salt Lake Bees. September 2, 2014 Houston Astros selected the contract of RHP Nick Tropeano from Oklahoma City RedHawks. July 27, 2014 Oklahoma City RedHawks activated RHP Nick Tropeano from the 7-day disabled list. July 7, 2014 Oklahoma City RedHawks placed RHP Nick Tropeano on the 7-day disabled list retroactive to July 4, 2014. June 9, 2014 Oklahoma City RedHawks activated RHP Nick Tropeano from the temporarily inactive list. June 3, 2014 Oklahoma City RedHawks placed RHP Nick Tropeano on the temporarily inactive list. April 2, 2014 RHP Nick Tropeano assigned to Oklahoma City RedHawks from Corpus Christi Hooks. January 14, 2014 Houston Astros invited non-roster RHP Nicholas Tropeano to spring training. July 7, 2013 Corpus Christi Hooks activated RHP Nicholas Tropeano from the 7-day disabled list. June 22, 2013 Corpus Christi Hooks placed RHP Nicholas Tropeano on the 7-day disabled list. April 1, 2013 RHP Nicholas Tropeano assigned to Corpus Christi Hooks from Lancaster JetHawks. March 4, 2013 RHP Nicholas Tropeano assigned to Houston Astros. September 7, 2012 RHP Nicholas Tropeano assigned to Mesa Solar Sox. June 29, 2012 Nicholas Tropeano assigned to Lancaster JetHawks from Lexington Legends. April 3, 2012 Nicholas Tropeano assigned to Lexington Legends from Tri-City ValleyCats. June 15, 2011 Nicholas Tropeano assigned to Tri-City ValleyCats. 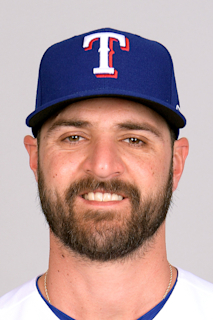 June 14, 2011 Houston Astros signed RHP Nicholas Tropeano.